Brazil - 2015/04/20 - Anderson Silva wants to compete at the 2016 Olympics in Rio de Janeiro, but some taekwondo athletes weren’t happy with those news. The former UFC middleweight champion issued a letter to the president of the Brazilian Taekwondo Federation (CBTKD), Carlos Fernandes, petitioning to compete at next year’s Olympics, and the possibility of “The Spider” entering the Olympics without going through the tryouts pissed off some taekwondo fighters. CBTKD president Carlos Fernandes will have a meeting Silva on Wednesday, and both are expected to hold a press conference later that day. Fernandes called Silva competing at the Olympics a “magnificent possibility”. Diogo Silva, a two-time Pan American medalist, decided not to compete at this year’s edition of the Pan American Games to focus on the 2016 Olympics, and questions CBTKD’s decision. “CBTKD is thinking about the money that might come and who can benefit from it,” Silva told MMAFighting.com. 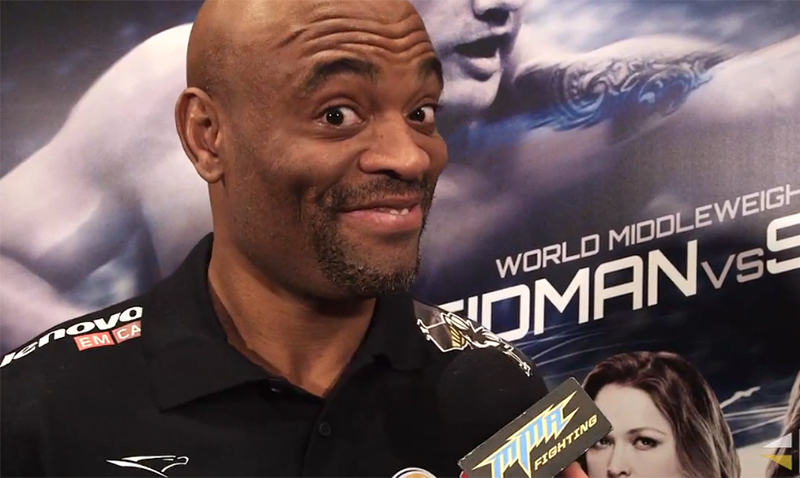 “Anderson’s image is very profitable, he’s the best MMA fighter of all time”. Diogo Silva knows that the UFC star would help making the sport popular in Brazil, but doesn’t think the Brazilian Taekwondo Federation can punish other athletes for it. 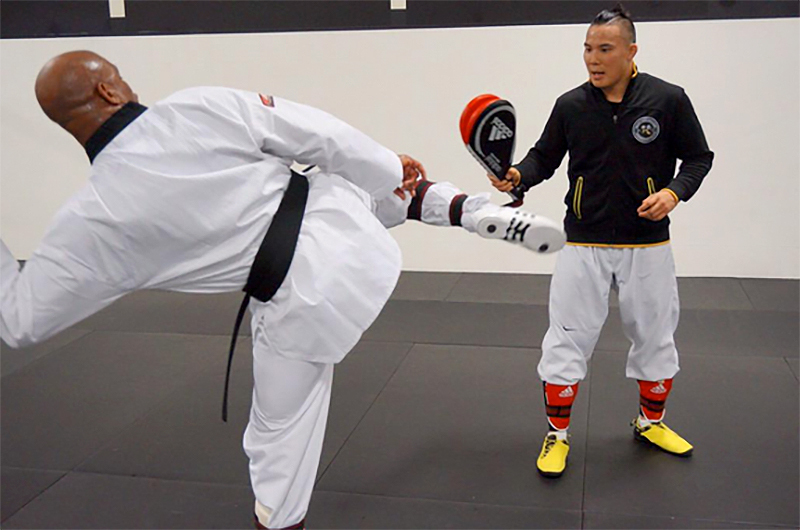 The taekwondo star won the gold medal at the 2007 Pan American Games in Rio de Janeiro, and a MMA fighter also competed that year. UFC light heavyweight Antonio Rogerio Nogueira competed in boxing at the 2007 Pan-Ams, and won the bronze medal. “Nogueira competed in boxing at the 2007 Pan American Games, and he felt how different it is to compete Olympic boxing,” Silva said. “It takes a while for an athlete to adapt for a different fight, whatever that is. If a judoka goes to wrestling, if he’s really good, it would take at least two years for him to adapt. We don’t have that time. “The Spider” is temporarily suspended by the Nevada Athletic Commission after testing positive for drostanolone, androstane, oxazepam and temazepam before and after a UFC 183 fight with Nick Diaz, and will appear in front of the commission in May to discuss his future. A longer suspension wouldn’t necessarily stop him from competing at the Olympics, though. On his Instagram, Anderson Silva posted a video training taekwondo and explained his decision to compete at the Olympics. “So guys, I know I’m totally out of shape because I haven’t trained for a long time, but I’m willing to try, and for that reason I’m working hard,” “The Spider” wrote. “If I don’t do this, we will never know if I can really make it. “I will train a lot, like I always did, to try to get to the Olympic Games. I’m at a different level, the Olympic athletes are almost like super athletes, light-years ahead of anyone, but I will get out of my comfort zone and try. The worst that can happen is not getting the results, but at least I will be sure that I tried.